A WordPress plugin allows you to have additional functionalities to your blog which are not available by default. For example, if you want to create a Table of Contents, you can not create it automatically with WordPress, but you can use a plugin that will add this functionality to your WordPress site. Now don’t go crazy and start adding tons of plugin to your site. There is a downside to it too. The more plugins you add, the heavier your site becomes and it may load slower. Another common issue with WordPress plugins is that sometimes one plugin doesn’t work well with other plugins and causes issues on your site. Despite the drawbacks, plugins have their place and you’re better off using some of the plugins that help you grow your blog. In this article, I am going to list the WordPress plugins that I use and recommend. Since I have been using it for a long time, I know that they don’t conflict with other plugins (as of now). I will cover both free as well as paid plugins (and will also mention some alternatives in case you want to experiment). Since WordPress is an open source platform, a lot of developers and companies develop plugins that you can install and use with your blog. Some of these plugins are absolutely free to use, and some have a one-time or recurring cost associated with it. In some plugins, there is a free version as well as the paid version. If you’ve just started your blog and are on a tight budget, just go with the free plugins. Note: Wondering how to install a plugin in WordPress? I have covered it at the end of this article. Akismet is a free WordPress plugin that saves you from thousands of spam comments that are on their way to your blog. All you need to do is install the plugin and activate it. This would require creating an account with Akismet first. Once activated, you can relax and go back to blogging. Any spam comment will automatically be weeded out and you will see genuine comments only. Easy Table of Contents is a free plugin that allows you to quickly insert a table of contents in an article. Since long-form articles are preferred by search engines for rankings, a long article can be made a lot more readable by inserting a table of content. An example of this can be seen a few paragraphs above (where I have created a table of content for this article). Once you have installed this plugin, all you need to do this insert a shortcode where you want the table of contents to appear. The plugin will automatically create it based on the headers that you have used. You can choose to only show some heading levels and ignore the rest. For example, you can specify to only use H2 an H3 heading to create the table of contents. Even if you have H4 /H5/H6 in the article, it would be ignored. You can change the text that appears in the table of contents. For example, if you want a different text for a header you have used, you can specify that. You can change the width, font size and the color of the table. You can specify the default heading of the table of contents. Note: A lot of people still use TOC Plus plugin, but it has not been updated in a long time. Easy Table of Content is an offshoot of that plugin and is updated frequently. Recommended Reading: How to install and use Easy Table of Contents Plugin. There are many good SEO plugins available for WordPress. I prefer the free version of Yoast SEO as it does the job well and is easy to use and configure. Note that you don’t need an SEO plugin to rank in search engines. You can rank fine without it, but having one makes it easy to create content that is SEO friendly. Creates a sitemap that you can add to Google Search Console and index your pages using it. Allows you to remove certain taxonomies from getting indexed. For example, I don’t index my tags and category pages, and I can easily exclude it from Yoast SEO. Helps with a few pointers when writing a blog post. Remember these are just pointers and you don’t have to meet each and every one of it. Use it as guidelines. There is also a paid version of the plugin which allows you to manage redirect from within the plugin, allows you to optimize a page for multiple keywords and also shows suggest posts that you can link to. Personally, I don’t think the premium version is worth paying for. W3 Total Cache is a free plugin that helps speed up your site. Without getting too technical, let me try and explain what a caching plugin does. When you open a web page, the page gets loaded by getting all the components from the server (such as the logo, the content, the design, the scripts, etc). A cache plugin creates a cache of some of these components. So the next time a visitor visits the page, instead of going to the server for all these components, some of these are served from the cache. And this helps improve the page speed. W3 Total Cache is used by many popular sites (such as mattcutts.com, mashable.com, smashingmagazine.com, and makeuseof.com). You can also use this plugin with Content Delivery Networks such as Cloudflare or MaxCDN. There is a pro version of the W3 Total Cache plugin, which will give you access to additional features such as fragmented caching module, exclusive extensions, and CDN mirroring. Recommendation: In case you plan to invest in a cache plugin, I highly recommend WP Rocket. It’s extremely easy to use and immediately speeds up your site. You can read my WP Rocket review here. BackWPUp is a free plugin that helps you create a backup of your site and save it on the cloud (DropBox or Amazon S3). I can’t stress the importance of backing up your site enough. If you’re using SiteGround, you already get a daily backup. Despite that, I would still recommend using this plugin for daily backups. It’s extremely easy to install. Once installed, you can either take a manual backup and save it on the same server or the cloud (Dropbox or S3). If you have just started a blog, you can start with the free version of BackWPUp plugin. Once you start making money from your blog, you can consider paid backup plugins such as BackUpBuddy or VaultPress. Currently, I am using BackUpBuddy for all my sites. When you add an image to WordPress, it creates many different versions/sizes of it. With Wp-Smush plugin, you can reduce the size of all these images as soon as these are uploaded to WordPress. You should always reduce the size of an image before you even add it to your blog. I use TinyPng to do this. You can also use Photoshop to do this. Using the Wp-Smush plugin will make your images lighter and make the pages load faster. The impact can be profound if you’re using a lot of images in your blog posts. Note: If you’re not using a lot of images, you can work even without using this plugin (or any image optimizing plugin). I prefer using it as I end up using multiple images on each blog post. Wp-Smush is a free plugin with a paid version (Wp Smush Pro). In case you are considering getting the paid version, I recommend using ShortPixel instead. I have lately been using ShortPixel as I got a lifetime deal of it from Appsumo deal site. But if you don’t want to invest for this, just go with the free version of Wp-Smush. Ad Inserter, as the name suggests, is meant for sites that use display ads on it. With this free WordPress plugin, you can specify on which pages/posts/categories you want to show the ads. Also, you can specify the position where you want the ad to appear. For example, you may want the ad to show up at the beginning of the article, or after 40% of the article or at the end of the article. You can also specify the categories on which you want to show/hide the ads. It also allows you to make the changes on individual pages/posts. For example, if I don’t want the ads to show up on a specific page, I can simply uncheck the ad blocks available at the bottom of the page. With the FREE version of Ad Inserter, you can create up to 16 blocks of ads. In each block, you can add the code for the ad (or any other code you want), and specify on what categories you want the ads to appear and at what position. There is a pro version of the Ad inserter as well which will remove all the ads from the plugin settings page and allows up to 64 blocks of ads. Personally, I find 16 blocks that come with the free version to be enough. If you need to give your users a way to contact you, you need to create a contact form for it. WPForms Lite is a free plugin that allows you to quickly create contact forms and embed it in any page. It has a drag and drop form builder interface which is very intuitive. You can create a form so that someone can contact you, send suggestions, or signup to your email list (where you will have to connect it to an email automation tool such as MailChimp or Aweber). It also has a paid version that unlocks a lot many templates – such as Request a Quote form, billing form, or donation form. So far, all the WordPress plugins I have mentioned are free. Now I will also cover a few paid plugins that really help in managing and growing the blog. If you’re just starting out, you can ignore these paid plugins for now, and come back to it later once you’re already making money or have the budget to do it. Your WordPress site is always at risk of being hacked. It could be humans hacking your site or bots that can cause havoc. I once had one of my sites hacked where the hacker added a lot of unnecessary pages and links in it. Wordfence Security is a free WordPress security plugin that can help you make your site more secure. Among its various features, the most useful is firewall protection and limiting login attempts. Its firewall can detect and block malicious traffic. Also, limiting the login attempt ensures that there is no brute attack by bots trying to figure out your user id and password. While a security plugin is great, you need to make sure you’re doing your part in making your site safe. Regularly take backups of your site. You can do it through your hosting provider, through a backup plugin, or manually. Since I am borderline paranoid, I use all three. Make sure your user id and password are not easy to crack. Change your username from admin to something less obvious. Also, don’t keep your username and password same or similar. There is a paid version of Wordfence as well that gives you additional features such as Real-Time Threat Defense Feed, two-factor authentication, country blocking, etc. When running a blog, creating your own email list is the most important thing you can do. When you have your own list of engaged readers, it opens doors for many ways to have an impact and make money as well. Thrive Leads is a WordPress plugin that allows you to quickly create great looking opt-in boxes, pop-ups, scroll mats, ribbons, and sliders. It’s extremely easy to use and the drag and drop interface is highly intuitive. You can connect a Thrive Lead opt-in box to an email automation tool (such as Aweber, MailChimp, or ConvertKit, or Drip). 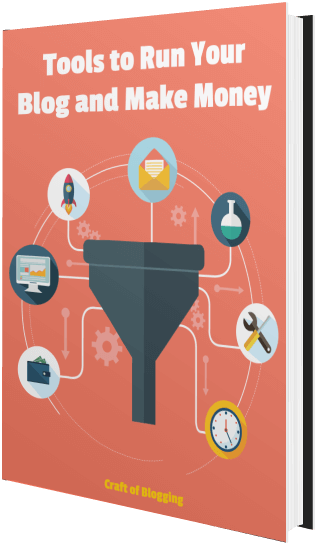 It also allows you to quickly create content upgrades that can really make a difference in email collection. The plugin comes with a lot of pre-designed templates, and you can easily select of these pre-made templates and edit it according to your need. Pricing: If you only want to get the Thrive Leads plugin, it will cost you $67 for 1 site and $97 for 5 sites and $147 for 15 sites. It’s a one-time payment and you get lifetime updates to the plugin. Another way to get it is to enroll for their yearly membership ($228). With their yearly membership, you get access to all their awesome plugins and themes, as well as access to any new plugin/themes launched in the future. I have subscribed to their yearly membership, and I highly recommend it. Click here to get Thrive Themes membership. Thrive Architect is a page builder, and in most of the cases, you may not even need it. It allows you to quickly create beautiful pages/posts. It has an intuitive drag and drop interface where you can easily create good-looking pages from scratch or use from hundreds of pre-built templates that comes with the membership. You should only get this when you have a need to create pages/posts that can’t be done using default WordPress editor. For example, Craft of Blogging homepage has been created using Thrive Architect. Pricing: If you only want to get the Thrive Architect plugin, it will cost you $67 for 1 site and $97 for 5 sites and $147 for 15 sites. It’s a one-time payment and you get lifetime updates to the plugin. Click here to get Thrive Architect. As you might notice, I recommend some of the tools and services that I use ourselves. Pretty Links plugin allows me to turn the long ugly looking affiliate links into pretty and memorable links. This makes these links easy to remember and share. If you’re into affiliate marketing, I recommend you consider getting an affiliate link management plugin. Pricing: $57 for 1 website and $97 for 10 websites. These are just some of the WordPress plugins that I have experience with. You can do your own research and try some others as well. But remember, you don’t need to overburden your site with plugins. Before installing any new plugin, just ask yourself – Do I really really need this? If you’re just starting out, even the name plugin can feel too technical. WordPress plugins are super easy to install, and in most cases, quite straightforward to use. Search for it in the WordPress directory and then activate it. Upload the plugin manually and then activate it. The first step is to log in to your site’s WordPress dashboard. In the WordPress dashboard, hover the cursor on the Plugin option and click on Add New. In the Add Plugins page, type the plugin name in the search box. To install, a plugin, click on install and then click on activate. Sometimes, you may not find the plugin in the WordPress directory. This is often true for many paid WordPress plugins. In such cases, you get a zip file for the plugin that you need to manually upload to WordPress and then activate it. Log in to your site’s WordPress dashboard. Click on ‘Choose File’. It will open a dialog box when you can locate the zip file of the plugin and click OK. This will install and activate the plugin. There are many useful WordPress plugins available for you to use. The one you should use would depend on what additional functionality you want in your website/blog and how badly you want it. Adding too many WordPress plugins is a bad idea and you should always try and minimize your use of plugins. But plugins do have a place and can help you make your site better and make money from it. At any given time, I try and keep the plugin count on my blogs to less than 15. Please elaborate more about Pretty Links (Paid). It’s for affiliate marketers. This plugin makes long ugly affiliate links (URLs) into the ones where you can use your own website name and create a custom link for it.